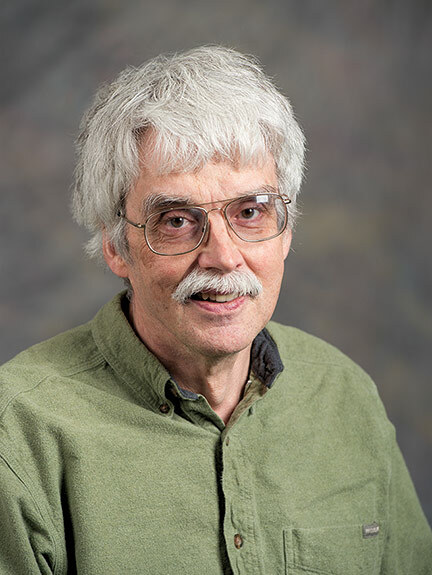 Moreover, in the serpentine path from abstract musing to basic science to demonstrated phenomenon, the WSU physicist sowed the seeds for a small-scale but real-life tractor beam that could have applications in both nanotechnology and medicine. In his original inquiry, published in 2006, Marston noticed that when he plotted the forces of a beam of sound around a sphere, certain places on a graph would have negative force. In other words, the beam was acting on an object in such a way that it would attract it, not repel it. If a lot of sound was being scattered back from an object, it would be pushed forward. However, he reasoned, if no sound was scattered back, there was some chance the object could be pulled toward the source. He had pondered this for another four years or so when researchers in Hong Kong moved his thinking along. Where Marston had used math and sound, they used a geometric diagram and light canted at different axes, creating a sort of cone. By coming in at different angles, the light—which behaves similarly to sound for experimental purposes—had different total forces. In their case, the angles were such that their total forces could in effect be a pulling, negative force. Earlier this year, a team of Czech and Scottish researchers focused two laser beams with a lens in a way that let them control the light’s polarization. To explain this, Marston produces from his cluttered shelves a heavily bookmarked copy of James Clerk Maxwell’s Treatise on Electricity and Magnetism. “I bought this book in a bookstore in downtown Seattle in the 1960s,” Marston says. He spends a few minutes riffling for what he calls “the most important picture in theoretical physics from the nineteenth century,” then brings the diagram up on his laptop. According to Maxwell, when an electromagnetic wave is propagated in space, the electric and magnetic fields are perpendicular to each other. Light, he theorized, would behave similarly. The Czech and Scottish researchers went beyond theory, building an apparatus in which they could rotate the electric field in a way that the objects they were working with—polystyrene particles as small as 400 nanometers, or less than 1/1,000th of a millimeter—could be drawn toward the light source. It’s still a far cry from the Enterprise’s tractor beam, as the Czech and Scottish researchers were working with small objects and similarly small forces, says Marston. “It turns out they don’t care,” he says, “because they’re less interested in attracting people”—or spaceships. “They’re interested in tracking biological cells or small objects you would like to assemble in some controlled way,” he says.